When we think of injury or disability, the first thing which comes to mind are objective injuries. These are the sort of injuries which are obvious to the naked eye. Often, a picture of a person in a cast, a person in a wheelchair, or using a crutch comes to mind. We think of broken bones, lost limbs, blood and gore. What we don’t think about are the injuries we cannot see. We don’t think about depression, anxiety, chronic pain, loss of memory, fatigue or any of a number of other countless symptoms which are subjective. The distinction between what is a subjective injury, and what’s an objective injury is crucial to understanding many long term disability claims. Why is this distinction important? First, the adjuster handling your long term disability claim often isn’t somebody with a Harvard MBA, or some concentrated education to help them adjust claims. You don’t exactly go to University and graduate with a degree in insurance adjusting or claims handling. Often, the adjusters handling your claim are people who have no higher a level of education or a differing degree of education than you do. These are often high school graduates, or college graduates who have learned the insurance and long term disability industry over the years. Some adjuster may have a “CIP” of “FCIP” designation. The term “CIP” stands for Chartered Insurance Professional. The term FCIP stands for Fellow Chartered Insurance Professional. Both designations are offered through the Insurance Institute, which is NOT a government body. Rather is a professional development association for the insurance industry. It’s funded and run by private membership fees, mostly from insurers and members affiliated with the insurance industry. What I’m trying to get at is that the people who handle and adjuster your long term disability claim don’t have any sort of special education. Their training is provided by insurers, for the benefit of insurers. So, if you have a complicated medical disability, which doesn’t show up on an x-ray, MRI or scan, then it might be too complicated for that adjuster to understand. If they approve your claim, they might get in trouble with their superiors because they don’t have the rationale or medical background to rationalize/explain the approval. Put yourself it the adjuster’s shoes of trying to do their job and explain why, or why not your claim was approved or denied. Keep in mind that approving you because your a “nice person” isn’t really a proper answer. It’s easy to approve a long term disability claim for broken bones or a brain injury. It doesn’t take a rocket scientist of an adjuster to understand that somebody who cannot walk, cannot perform their regular job. The more difficult rationalization is approving a claim for fibromyalgia, depression, anxiety, or chronic pain. An approval for a subjective injury that we cannot see. The majority of the long term disability claims that we handle are for people who have these so called subjective injuries which don’t show up on any x-ray, scan or MRI. If the injury were that obvious, there’s a good chance it would be approved. But, because the injury doesn’t show up on any sort of scan, it gives the insurer the out/excuse that they need to deny your claim and make you fight for every inch of benefits that you ought to be entitled to. 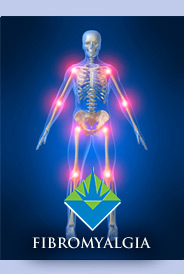 Fibromyalgia is one of those disabilities which is polarizing for doctors, lawyer and insurance professional alike. Some old school doctors and even defence lawyers don’t believe that firbromyalgia exists. Lots of insurers don’t believe that it exists, but if they do, then they don’t believe that it’s debilitating. 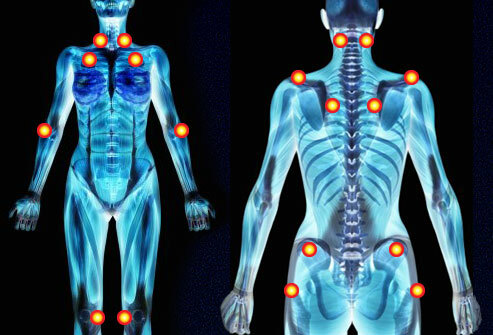 They think that you can bounce back from fibromyalgia like you would the common cold, or that you can be cured of it from exercise or just work through the pain and fatigue. Based on my first hand experience seeing family members and clients suffer through the pain, fatigue, memory loss, depression, loss of concentration, stiffness, tightness and anxiety associated with fibromyalgia, I can tell you that it certainly does exist, and it’s completely debilitating. Even with proper medication, treatment, exercise, diet and psychological counselling, it’s entirely possible that you may not be able to shake your condition. There are peaks and valleys when coping with fibromyalgia. Some days are good. Some hours are good. And the next think you know, it’s like you’ve been hit by a wall of pain or fatigue. Day to day, hour to hour, minute to minute is unpredictable. Living with firbromyalgia is no joke, and is very difficult on the person and their family/loved ones alike. Interpersonal relationships deteriorate. Intimacy in the bedroom declines. Smiles fade and become less frequent. It’s a silent killer of the person who used to be. Unfortunately, insurers don’t seem to understand this making your life even more difficult than it already is. Many clients of our law firm with LTD claims based on fibromyalgia present to me mountains of literature on the disease/injury. I can tell you that for every page out there supporting fibromyalgia, there is a page of literature against it. Fortunately for you, the literature against fibromyalgia is dated and older than the literature in support of its debilitating nature. I would love to tell my LTD clients suffering from fibromyalgia that the winds or change are blowing. But, there still remains a very big and powerful body of doctors and health care professional who don’t believe in fibromyalgia. They would rather think that you’re making it all up, or that it’s a product of your mind/psyche. They will tell you to work through your pain and fatigue and that exercise or a magic pill will make it all better. I have yet to see that exercise has completely cured a person from their fibromyalgia, nor have a seen a magic pill do the same. Until such time as doctors get a better understanding of fibromyalgia, disability claimants will continue to have a hard time with insurers about these claims. This is where our lawyers come in to play to help you get the results which you deserve. If your disability claim has been denied on account of fibromyalgia and relating pain, depression, fatigue, anxiety or any other injury, don’t hesitate to give us a call. We will do our very best to help you out. I know that you’re waiting for my comment to Toronto’s professional basketball team. I’m confused. They’ve won 4 games in a row, and they’ve played some extremely entertaining basketball. BUT, are they missing out on a potential superstar in the draft lottery? I don’t have the answer. That’s why I’m glad NOT be the GM of their team right now. Keep winning at the expense of a lottery pick, or lose to build for the future. I have no idea. Either way, it’s nice to see them win for a change. And their last win was such a quality and convincing win at that! Well done!